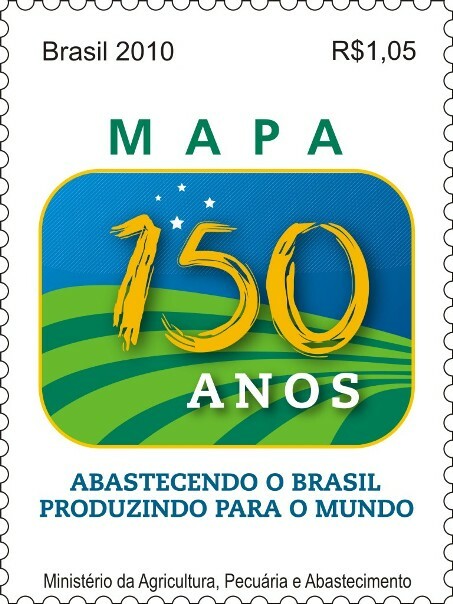 This Project of Technical Cooperation (TCP) is centered in exchange of plant genetic resources and sharing of information of interest to both parties and will be involving the International Technology Cooperation Center and the National Institute of Agrobiodiversity from RDA and Embrapa Genetic Resources and Biodiversity Center from Embrapa. The objective of it are: a) Promotion of cooperation between RDA and Embrapa in the area of genetic resources and related technologies, on the basis of national and/or international norms and regulations; b) Promotion of exchange of plant genetic resources and sharing of information of interest to both parties; c) Creation of a stable channel for exchanges of experts and dialogues between scientists for further cooperation. This Project of Technical Cooperation (TCP) is centered in development and/or cryopreservation protocols and sharing of information of interest to both parties, and will be involving the International Technology Cooperation Center and the National Institute of Agrobiodiversity from RDA and Embrapa Genetic Resources and Biodiversity Center from Embrapa. The main objective of this project is the training of Brazilian Scientists on Cryopreservation techniques and the establishment of collaboration on the theme between RDA and Embrapa. The major expected impact (outcome) of this project is the establishment of partnerships in the theme of cryopreservation to help implement long term conservation of genetic resources of target species and also encourage the active engagement of researchers of both RDA and Embrapa in networking and collaboration to help safeguard genetic resources and ensure their availability for future generations. This Technical Cooperation Project (TCP) is centered in the promotion of cooperation between RDA and Embrapa in the area of sweet sorghum generated bioenergy and related technologies, on the basis of national and/or international norms and regulations; establishment of ethanol production technology for the first and second generation bioethanol using sweet sorghum; promotion of exchange and characterization of sweet sorghum germplasm and sharing information of interest to both parties; creation of a stable channel for exchange of experts and increased dialogues between scientists for further cooperation. The TCP will be involving the International Technology Cooperation Center and the National Institute of Crop Science from RDA and Embrapa Maize and Sorghum an Embrapa Agroenergy from Embrapa. It will be conducted in form of two Work Plans, one concentrating activities on exchange and agronomic characterization of genetic resources and the second in chemical and biological evaluation of sweet sorghum bagasse for first and second generation ethanol production. Both work plans have a strong focus on scientists exchange and collaboration and contemplate technical visits of RDA staff to ethanol production industry in Brazil. A research team of the United State has changed the E. coli organism to extract sugar which is found in marine algae and turn them into potential source of renewable fuels and chemical, thus opening the possibility of producing maritime biofuel in the future. Algae generated interest among researchers, as well as the energy industry because their high content of sugar provides a significant quantity of biomass and do not require land to be harvested or water to grow. The problem until now was that the bacteria do not metabolize immediately main sugar component in the seaweeds known as alginate, what makes the biofuel seafarers to be too expensive order to compete seriously in the market with petroleum-based fuels. However, through the use of synthetic biology and engineering of enzymes, scientists were able to alter the bacteria E. coli to produce enzymes that digest the sugar polymer present at the seaweed. The advances obtained by scientists from the laboratory Bio Architecture (BAL) – private company based in Berkeley, California – where there are four creations of marine algae, indicates the January 20th edition of Science magazine. The altered bacteria also produce proteins which carry degraded sugar and contain metabolic routes that ferment sugars ethanol, a renewable fuel source. The authors point out that if this process can be performed successfully on a large scale, the seaweed could help satisfy the growing demand for biofuel. “Our scientists developed an enzyme to degrading and metabolizing the alginate, which enables us to utilize the main sugars of algae, which makes her biomass raw material for renewable production of fuels and chemicals,” said Daniel Trunfio, Executive Director from BAL. The specialists point out that less than 3% of the coastal waters can produce seaweed able to replace more than 60 million gallons of fossil fuels that are used, but algae is now cultivated on a commercial scale.